Gastric Sleeve Surgery costs less at our Registered Hospital in Northern France when compared to Gastric Sleeve prices normally found at Hospitals in the UK or Ireland. 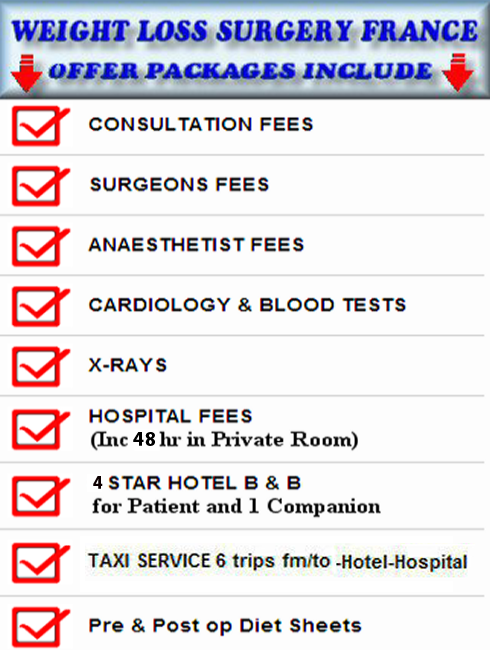 Hospitals in France are operated to extremely high standards and all surgeons must be registered as Surgeons and qualified in the particular field in which they specialize. Gastric Sleeve Surgery in France, or Gastrectomy is carried out by a qualified Bariatric surgeon who will remove approximately 60% to 80% of the stomach along the greater outer curvature of the patients stomach, leaving only a small tube (“sleeve”) for the new stomach pouch which extends from the natural stomach opening to the natural stomach outlet (pyloric valve). 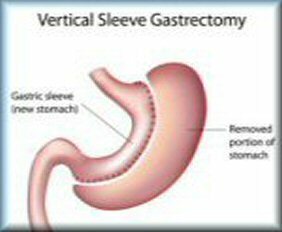 The procedure of gastric sleeeve gastrectomy helps to limit eating by reducing the overall size of the stomach by removing the part of the stomach that produces the hunger-stimulating hormone Ghrelin. 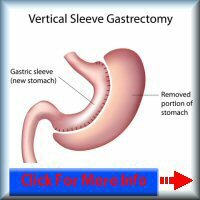 The cutout part of the stomach is removed from the body and not left in place as with gastric bypass surgery. 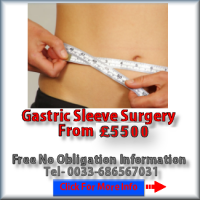 This procedure is not reversable so is generally reserved for extreme cases of obesity only.